Business sticker. 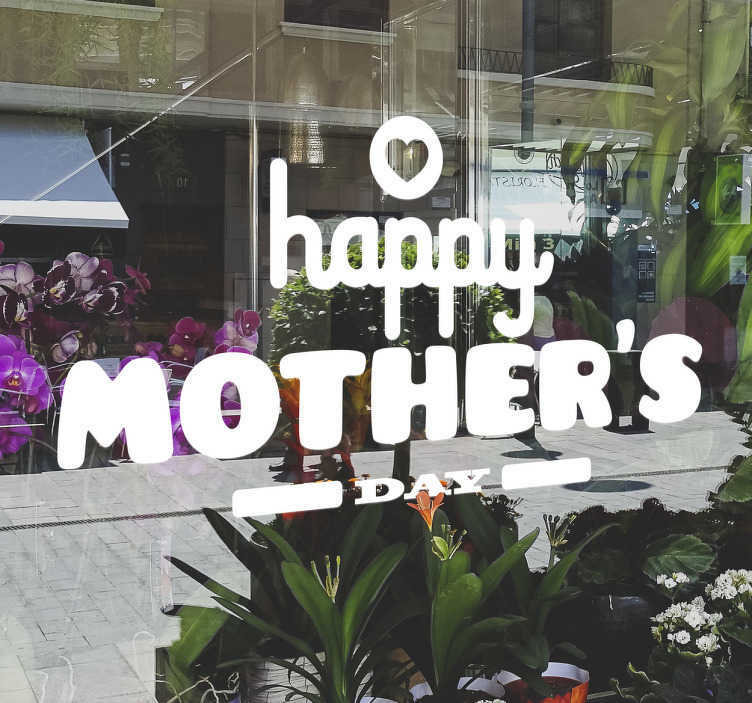 Decorate your business with this mothers day sticker. The text consists of the message "happy mothers day" with a love heart located above the text. Let all your customers know you are having a mothers day promotion in store with this window sticker. If you wish to apply it on the inside of the window, please select the mirrored option above. This sticker comes in different sizes and colours.